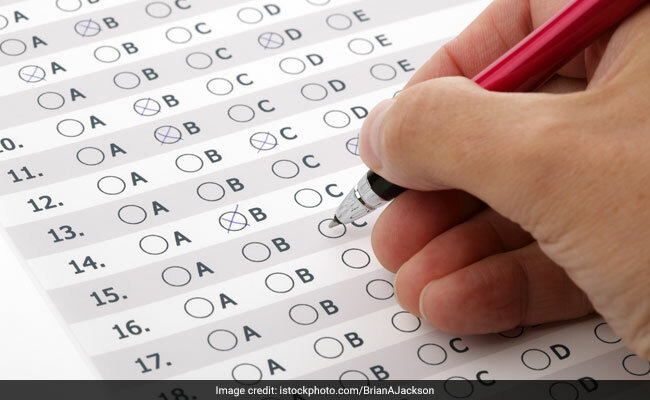 Candidates may face difficulty while downloading the answer key as more than 9 lakh candidates had registered for the examination. New Delhi: UPTET 2017 answer key can be checked at the official website. Candidates awaiting the same can check it at the official website of the Board at upbasiceduboard.gov.in as and when it is declared. Click here for how to download UPTET 2017 Answer Key. Candidates may face difficulty while downloading the answer key as more than 9 lakh candidates had registered for the examination. According to Hindi daily, Amar Ujala, among these 9.76 lakh applications, more than 3.49 lakh applications have been submitted for primary teachers and more than 6.27 lakh aspirants have applied for the higher primary. As of now, the official website of the Board is not responding. Candidates had a tough time downloading the UPTET admit cards. This might have happened because of large number of users rushing to the portal or link to download the UPTET admit card 2017. Website crashes happens when large number of users try to access a web address which is in fact not equipped to handle not more than a certain number of users. UPTET 2017 was held on October 15 in two session for the recruitment of teachers to teach in class 1 to class 8 of Uttar Pradesh state. Online registration for UPTET 2017 had begun in August. In order to be eligible to UPTET for teachers of class 1 to 5, minimum academic qualification was either a Bachelor degree or intermediate. For teachers of class 6 to 8, minimum academic qualification required was a Bachelor degree. In another development, The Uttar Pradesh Cabinet approved changes in the appointment process of primary school teachers making written examination compulsory for aspirants. The Cabinet in a meeting presided by Chief Minister Yogi Adityanath approved an amendment in the UP Basic Shiksha Adhyapak Sewa Niyamawali (rules), state government spokesperson and minister for power Shrikant Sharma told reporters here. A written examination of 60 marks has been made compulsory while 40 marks will be for educational qualifications, the minister said. Only those candidates who have cleared TET (Teacher's Eligibility Test) exam will be eligible for the written exam, he said. Read the full story here.